A few days ago, I took a flight home. Towards the end of the journey, the captain asked us to shut down any electronic device that we had on board, including iPods, CD players, phones and so on, because there was very low visibility, and we were starting an instrument approach. From what I could understand, an Instrument Landing System (ILS) allows an aircraft to be centred on the approach path, assisted by radio signals delivered by an ILS (a localiser and a glide slope), without any visual reference. These signals are in the 110 MHz (LOC) and 330 MHz (GS) frequency range. Given that for the take off, visual landing, and the journey itself, shutting off the devices is no longer required (even though there are radio signals being used for communications and navigation), why this extra precaution on a low-visibility ILS approach? What interference could a CD Player possibly produce with the instrumentation to an extent that it's more dangerous than with the normal take off,en route, and landing phases? On a side note: as you probably understood, my level of expertise is very low, so forgive any dumb mistake or oversight. Short answer: ILS is rather sensitive to interference and not all electronic devices take much precaution in avoiding the generation of interference. The pilot wants to be sure that the readings he's getting on the localizer and glideslope are accurate, since he can't actually see the runway to verify the final approach path visually. Now, suppose some passenger's electronic device is emitting a frequency that it shouldn't be. This is not exactly unheard of among consumer electronic devices. This is more common among devices manufactured in countries with less-strict emissions testing requirements/enforcement, but it's possible due to slight defects in almost any device. [Source: I design RF receivers for a living.] Now suppose that this noise happens to be on the localizer or glideslope frequency for the runway to which the aircraft is flying an approach. Hopefully you're starting to see a problem here... Whatever amplitude changes are happening on this unintended emission are now being received by the AM demodulator of the localizer or glideslope, potentially confusing it and, in low visibility conditions, causing the aircraft to be directed somewhere other than the runway threshold. Needless to say, that's bad. Crosschecking altitude and DME distance periodically. Crosschecking altitude and flight management system (FMS) threshold distance. Crosschecking altitude and the crossing altitude of the outer marker (or locator, very-high-frequency omnirange [VOR] navigation equipment, or FMS). Crosschecking radio altitude and barometric altitude. Crosschecking ground speed and rate of descent. Questioning air traffic controllers when indications do not appear to be correct. You can read this related question if you want to learn more about the interference between electronic devices and airplanes. An answer there links to a very good document written by NASA on the topic. Long story short: Electronic devices are complicated. Airliners are complicated. Therefore, we can not predict exactly what the interference between them will be in all situations. What your captain did happens frequently and is also covered in the relevant FAA FAQ. So, the reason is that the captain wants to be absolutely 100% sure that there will not be any interference during such a critical point. Having worked as a software engineer on the lateral guidance subsystem of the FMCS (Flight Management and Control System) for the Airbus A310 about 30 years ago I found @reirab's answer fascinating. I can fill in some gaps as to how the information from the different systems is used and why the ILS information is particularly critical. On the A310 3 sets of input are used in determining the aircraft's position. 1) Every 200ms the inertial data from the set of 3 laser gyroscopes are used to basically say - "I was there. For 200ms I have been travelling at x knots therefore now I am here". 2) Every 1.5 seconds (in normal flight) data from up to 4 DMEs and VORs are used to accurately calculate the position of the aircraft. 3) During landing when ILS or MLS is available the ILS/MLS data is used in place of DME/VOR data. There are two significant differences between 2) and 3). Because you are closer to the ground and precise vertical as well as lateral position is critical calculations are performed more frequently than once every 1.5 seconds. Because ILS/MLS data is much more accurate filtering of position adjustment is reduced. Well, when I do the radio position fix using DME and VOR I will also have an inertially calculated position. For various reasons beyond just not spilling the passengers' coffee I'm not allowed to correct this position by more than something like 5m (this is different if there has been no radio fix for a prolonged period of time). With ILS/MLS this filter factor is much larger, like 50m or even 100m, although the expectation is that such a large correction will only happen on initially acquiring the ILS/MLS signal. Because such large corrections of the aircraft calculated position are allowed in Flight Management software when using ILS/MLS data it is critically important that there are no errors due to interference. The only reason electronic devices are demanded to be switched off is because some of them affect the radio (telephones) and it's easier to say "shut them all off" than to argue over which equipment is susceptible to interfere with the radio and ask the crew to carefully inspect whether the device at the other end of your earbuds is actually a telephone or a CD player. Source: actually asked the question to my aerobatics instructor a few years back. He told me that when the phones weren't switched off it happened that he had to ask Control to repeat 2 to 3 times before understanding them. There are several ways an electronic device can interfere with aircraft operations, but the likelihood depends on age, aircraft design factors, and the nature of the EMI aggression (frequency, modulation type, and power -- there are also broadband EMI sources on aircraft, but we can safely disregard these for the purposes of this discussion, as PEDs generally are narrowband emitters unlike, say, an electric hydraulic pump which lost its interference suppression capacitors, spewing broadband hash as a result). The typical concern, though, is of interference with an aircraft's sensitive navigation (ILS/LOC, G/S, NDB, GPS/WAAS, radio altimeter) and communication (HF, VHF, SATCOM) receivers (it's possible to interfere with the transponder/TCAS and weather radar signals as well, but those aren't quite the same level of concern as say the glideslope is), from intentionally emitting PEDs -- cell phones (especially GSM phones, as the GSM air interface is more EMI-prone than that a CDMA phone is) and 2.4GHz or 5GHz devices (WLAN, BT) are the main concerns on this front, although unintentional emitters (anything in airplane mode) are also a source of potential trouble. Furthermore, comms interference takes an immediately noticeable form -- "what's that funny noise in my headset?"  (Pilots of small General Aviation aircraft have reported this on a regular basis.) This is in contrast with interference to navigational receivers, which may be subtle but not immediately troublesome (losing a bird in a large visible GNSS constellation), obvious (a fail flag on a VOR or LOC), or insidious (a false glideslope indication). However, the consequences are high here, especially during coupled or autoland approaches -- a human pilot can see that a full fly-down indication appearing out of the blue at 300' RA during an otherwise stable ILS approach is bogus and whack the TOGA button to get the crew some time to tell the noisemaker to zip their electronic lips, but an autoland computer won't know the difference and will follow it blindly. However, due to the large number of airline flights yearly (66 million according to ACI as per reirab's comment below), something that happens once in every 10^7 landings (Extremely Remote according to AC 25.1309) will happen every other month on average, and even something that happens once in 10^9 landings (Extremely Improbable according to AC 25.1309) is bound to happen every 15 years or so! The reported PED interference instances are not nearly as severe in consequences as the 'worst case' of a full 'fly down' during the late phase of a coupled or autoland approach (or false radio altimeter readings causing a grossly premature mode shift during autoland), though, but the probability of PED EMI with aircraft systems on any given flight is enough to make it a concern -- 75 events were reported worldwide to the IATA from 2003 to 2010, and given this number, we get a probability of roughly 1 in 10^7 for PED interference on a flight. From this, we can conclude that it would be highly unwise to take the chance of having a device talk all over the ILS signals during a critical phase of flight -- you would have to find a way to reduce the probability of PED interference with aircraft systems to 1 in 10^11 or better (this is 100 times less likely than what is currently allowed for a catastrophic event) in order to have a chance of challenging this wisdom. Although most electronics have been shown to be unlikely to interfere with most avionics/communications equipment in most common circumstances the simple fact remains that we aren't totally sure yet. As RRR said, airliners and electronics are both very complex, and we can't predict exactly what will happen in every situation. In an instrument landing, however, a very small margin of error in course/airspeed etc, present for 20 miles while the pilot has no frame of reference to know that it's wrong, can cause a major issue, because the cumulative error can add up over time and there's no way to know it's wrong. Chances are, your phone will make absolutely no difference to the plane. But on that one occasion it does cause a problem, 300 people may be killed in a fireball. That makes "asking you to stop playing Angry Birds for 30 minutes" a very small price to pay for a a potential life-saving precaution. Not the answer you're looking for? Browse other questions tagged landing instrument-flight-rules electronics ils or ask your own question. Why turn mobile phones off on take off and landing? Are there regulations or adverse effects regarding Bluetooth in the cockpit?